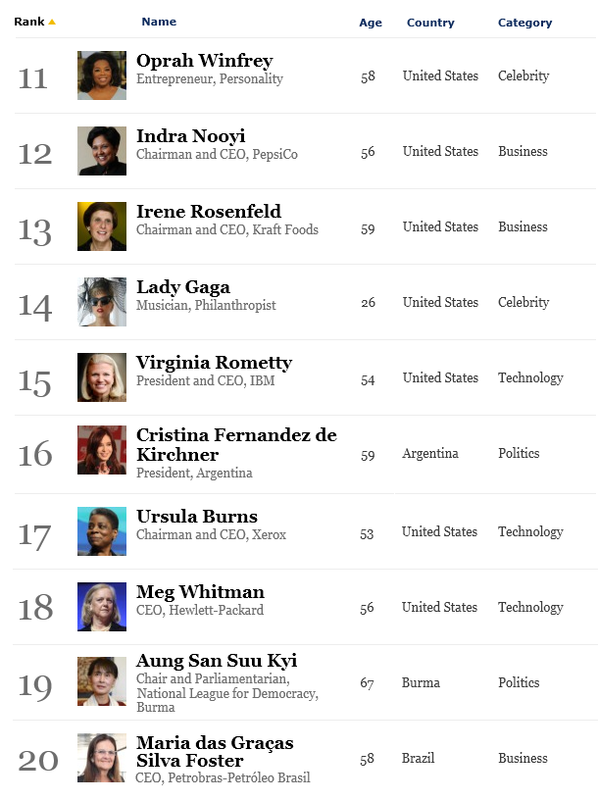 A couple of days ago, the Forbes came out with the list of 100 most powerful women in the world. The magazine ranked them according to the traditional classifications of power, such as political and economic might, and for being outstanding in social and cultural scene. The following is the list of the top 20, and if you feel like reading, click on the Forbes link I have provided above. 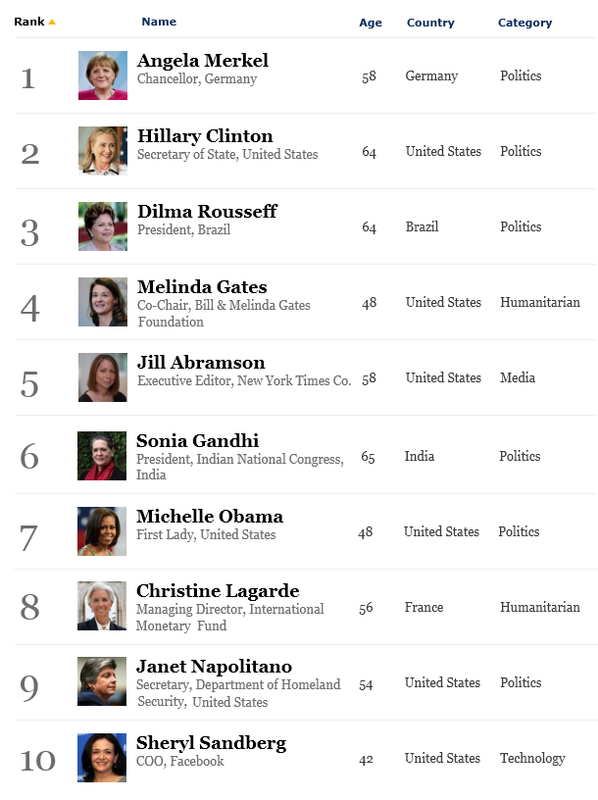 Angela Merkel (Germany) and Hillary Clinton (United States) head the pack. Oprah still sit pretty well up there long after her last TV talkshow end. Kudos and thank you each and everyone of you ladies for being such an inspiration. @tehr. Dah jadi kegilaan anak2 muda. Im not even a fan. Gosh, there must be some mistakes! errr, they forgot to put my name in :D hehe! Impressive list. Nice to see powerful and influential women in the limelight. They r mostly from the States!